Does your relationship feel a little stagnant right now? Don’t worry; it can happen to anyone. In fact, it usually does. Sometimes after a while, you find yourself so comfortable with your significant other that you end up missing out on the old spice and romance that brought you both together in the first place. If that is the case, then fear not. There are lots of ways that you can put the spark back into the fire of your relationship, from romantic surprises to reinjecting some passion in the bedroom. Here are some suggestions for how you might be able to spice up your relationship. Remember when you first got together, and you couldn’t stop touching each other? You’d hold hands at every opportunity, steal kisses whenever the moment allowed and cuddle on the sofa every night. Don’t underestimate how important that enthusiasm about being close to each other was to the health of your relationship. Reintroduce that desire to always be near each other with little touches here and there. By learning to hold hands again, you’ll have a closer physical connection. When was the last time that you went on a date – an actual, proper date and not a quick cinema trip while a friend or neighbor looked after the kids for a few hours? Plan a romantic date like no other. It could be dinner and cocktails at a rooftop bar with stunning views, an afternoon hike through the woods involving just you two and mother nature or a trip to the theatre to see a sold-out show. Organize a magical day, and that magic will rub off on your relationship. There are many ways in which scent drives human behavior. Smell is often the first sign of danger, friend or foe. It can make us angry, or it can make us fall in love. Presumably, your partner likes the smell of the cologne they wear as they chose it. So, surprise them when they come home from work by wearing it yourself, you’ll smell more attractive to them and who knows where that can lead? The bedroom is where you can inject some renewed spice into your love life. Use every ounce of your vivid imagination and talk to each other about your wildest fantasies. You might discover that your partner wants to work through the entire karma sutra, that they’re hot for role play or that they even want to try out a device like a whizzinator. By exploring each other’s deepest desires, you’ll be making your relationship hot again. Wine, the answer to all life’s problems, right? It can certainly help spice up your relationship. Pop open a bottle of wine, grab two glasses and sit and unwind in front of a cozy fireplace or under a blanket in your back garden while looking up at the stars. Wine can help us relax, get us talking and fall more in love with the person we are with. There are loads of reasons as to why summer is the best month of the year. The weather is obviously one as the cold, dark days of winter are replaced by warm, long nights. The sunshine instantly puts everybody in a better mood, and it becomes acceptable to eat as much ice cream as you want. Summer is also the best month when it comes to looking great. You spend more time outdoors in the summer, and so chances are you’ll be seen by loads more people. You also don’t have to wear a hefty coat, covering up your great fashion choices and your wonderful complexion. Can’t wait to look great this summer? Here are some of how you can shine. With fewer clothes required in summer, more of your skin will be on show – and you’ll want it to look at its best. Drinking lots of water will keep your skin hydrated which is good for your complexion, and you should also be sure to wash your face twice a day. That’s particularly important in heat as our skin becomes oilier when we sweat. You should use a moisturizer that contains sunscreen during the summer months. Many of us mistakenly believe that it is only when exposed directly to sunlight that UV rays can damage our skin, but it can happen anywhere the sun touches, including inside a home and while driving. A moisturizer with SPF can offer the all-around protection your skin needs. At the end of winter, our snug boots for warmth and comfort go into the closet for hibernation and taking their place are our sandals. That means that you need to make sure your feet are in tip-top condition as they’ll be on show lots over the summer months. If that isn’t an excuse to treat yourself to one of America’s ten best pedicures, then what is?! Of course, you can always take care of your feet yourself. Give them a good clean, make sure your nails are filed, and you can even paint them if you’ve got the time. The same goes for hands. You should also apply a moisturizer to your hands each night before bed as the heat of the summer can dry them out, potentially causing prominent lines and wrinkles. Doing so will ensure you wake up with softer, more beautiful hands in the morning. Summer can do strange things to your hair. We’ve all been in the situation where humidity can make us look like a member of the Hair Bear Bunch, but it doesn’t have to be a complete disaster. There are plenty of products on the market now which can help you battle the frizz that comes with extreme heat. You may find that washing it less can help as naturally produced hair oils can offset the effects of humidity. There are even some people out there who are beginning to embrace frizzy hair, realizing that if they have the sort of face that suits curly hair, then they may as well go with it. Summer can also be a great time of year to experiment. Sunlight makes your hair go lighter which can be a precursor to perhaps going a shade lighter in the summer months and your hair will even grow faster in summer, meaning that a new cut and style might be needed sooner than you think. If that’s the case, then why not go for something shorter? It will keep your head cooler, require less maintenance and get people talking. One of the most important aspects of summer fashion is being comfortable. It doesn’t matter what is meant to be in season or what everyone else is wearing – you should find something that looks and feels good on your body. There is nothing worse than going out in the heat of the day wearing something that just isn’t cut out for the practicalities of the weather. Different outfits are always coming in and out of fashion and what is hot one summer will have been completely forgotten about by the next year. That’s why there is little point in getting het up on what you think you should be wearing. By making your personal choice, you’ll feel comfortable and confident which will give you a spring in your step, putting you in the perfect mood. Summer presents a brilliant opportunity to accessorize. While winter is all about warm scarves and cute hats, the warmer weather gives you the chance to bring out a whole host of new accessories. With more of your person exposed, there is greater opportunity to show off jewelry such as rings, bracelets, and necklaces. Sunglasses are a must-have for both practical and fashion reasons and really, you can never have too many pairs – what’s good for a day at the beach isn’t going to be suitable for a garden party – with this year’s in-style set to be narrow, sleep and mysterious oval glasses. Beyonce has also done excellent work on making the straw hat a must-have accessory, and that will keep the sun off your back as well as helping you look super cute. You can click on the following link to learn more about what other accessories are set to be hot in 2019. Makeup and sweat don’t make for a pretty combination, and with the heat of summer, it’s one that can become quite lightly. As a result, many companies have now developed makeup products that they call “workout proof” with the premise that you could even go to the gym on the hottest day of the year wearing them and they would remain intact. However, summer is the time when you don’t need to wear as much makeup. Your skin will be naturally bronzed, you’ll glow, and you may have even developed some cute little freckles. Embracing the natural look by wearing less makeup is embracing everything that summer is about. Now is a great time to start pulling together your clothes for your holiday. Most retailers are now stocking their spring collections. So, you will find a great selection of clothes to choose from. In particular, if you shop with the larger retailers like Fashion World, who cater for all age groups and sizes. Here is a reminder of the items you will need, along with a few tips to help you to make the most of the latest trends. Trying on your swimming costume, bikini or tankini now and seeing if it still fits and is in good condition is wise. If it does not, you can just treat yourself to a new one. When you do go shopping take the time to try on some of the new cuts. If you are feeling a little self-conscious about your figure, why not try out one of the new shaping swimming costumes. They are a great way to smooth out some of the bulges and give you a little bit of extra lift. Swim dresses are also a good option, in this situation. For sightseeing, lunch and most outdoor activities, shorts and a t-shirt are an ideal combination. Short shorts, chino, and cycling shorts are the main trends for 2019. Combine them with this year’s tie-dyed or big t-shirts to complete your look. 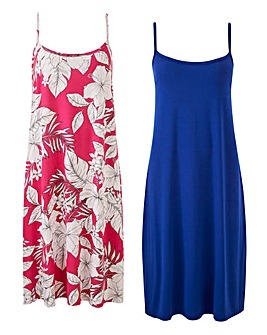 Or, if you prefer, choose an off the shoulder cut or one with an asymmetrical neckline. It is wise to pack a pair of jeans or long trousers just in case it rains or is colder than expected. This year boot and straight cuts are becoming widely available. For the evenings, a summer dress is a nice option. This year, soft, flowing, dresses with puffy sleeves, ruffles, frills or tassels are all available. But, if you want something a bit plainer do not worry because you will also find plenty of sheath style and straight-cut maxi dresses available. For the journey, and chilly evenings, it is a good idea to buy a lightweight jacket. You can either go for a blazer or a patterned rain jacket or maybe a cotton utility jacket. Comfortable footwear is essential, so treat yourself to a new pair of sandals or trainers. For the evening, consider buying a pair of loafer heels. They are very stylish and will look good with a summer dress or skirt. If you walk or hike a lot consider buying a pair of hiking sandals. They are very comfortable and are a great way to make sure that your feet do not overheat. When you go shopping for your holiday clothes, you need to make sure that you coordinate everything. Doing this will enable you to minimise the number of items you have to pack. This short article explains how to do that and also provides you with several capsule wardrobe combinations that fit in well with this year’s trends. Preparing for your tripYou may also find this article I wrote a while back helpful. It covers all of the other things you will need to get done to make sure that you arrive at your holiday destination relaxed and happy. 1. Does it Have 5 Doors? While a 3-door vehicle may have been suitable for you and your partner, you’ll soon realize how much of a nuisance these models are when you have a baby – trust us, trying to fit a baby car seat into the back seat of a 3-door is a hassle you can do without. When shopping for a new car, you want to ensure that every member of your family can enter and exit easily. 2. Will the Children Be Safe in an Accident? Safety should be your number one priority when you have small children, so it’s vital that you take a look at the safety features of each car you are considering. Some of the things you’ll want to look into are the placing of airbags, whether the car has auto emergency braking, and whether it has electronic stability control. All new cars are expected to meet certain safety standards, but older ones may vary quite a bit. 3. How Much Will It Cost to Run? Finances are likely going to be tight when you start growing your family, and you’ll be using your car a lot! So, it pays to find a model that’s going to be economical to run. You don’t only want to check out how efficient the fuel usage is, but also the cost of replacement parts and maintenance. An SUV, for example, will cost a lot more to run and also if anything needs replacing, than a standard vehicle like a Ford Focus or a VW Golf. 4. Is New Really the Best Option? Little people aren’t exactly known for being clean and tidy, and you’ll struggle to get through their early years without a milk spillage on the backseat, or corn chips appearing all over the floor. Because of this, it can be a better idea to invest in a second-hand car that you can upgrade as they get older. King Cotton Ford is a great place to check out as they offer a variety of certified pre-owned vehicles that may be ideal. Finance policies are available too. Finally, it’s also important to test the car you’re considering for comfort. Your family car won’t just be used for short rides to school, it will also be used for long road trips. Unless you want to listen to hours of whining due to your children feeling uncomfortable, it’s best to ensure the vehicle is well suited to every member of the family. Make sure there is adequate ventilation throughout, and also look into added accessories like cup holders to increase the luxury level. There you have it; five things you must consider before purchasing a new family car. The modern world is a busy place, and that can make it difficult to find the time to spend doing family activities together. This is a problem, as good quality family time strengthens our bonds with those closest to us, allows us to stay connected with what is going on in each other’s lives and most important of all, it can create lasting memories which we will cherish for a lifetime. That means it’s time to bring your family closer together. Even if it is just for one evening a week, these five fun ideas can do just that. Give them a try! There are so many positives about making a family meal together that it is hard to know where to start. Firstly, you will be working as a team to produce something for the greater good. Secondly, you can pass down your culinary talents to your children – skills which can set them up for life, especially if you fancy yourself as one of America’s best chefs. Finally, you’ll have a delicious home-cook meal to eat at the end of it. With modern technology taking over the world, the humble board game seems to have been forgotten somewhat – but it is a brilliant way to bring the family together. Get everyone sitting around the table and bust out one of the top 10 boardgames of all time. You might want to bankrupt your partner over Monopoly, dominate the world with Risk or take on your kids in a battle of linguistics with Scrabble. Just beware of any heated arguments over abbreviations when it comes to the last of those games – it’s not unknown for couples to have to seek a specialist lawyer for divorce and mediation flint. mi after a falling out over a triple word score. If you decide to have a boardgames night once a month, then it will become a ritual and part of the fabric of your family life. Traditions and rituals can help to build up a strong family unit. There are so many activities that you can turn into a family tradition, ranging from a weekly movie night to a forest hike every other Sunday. By creating an activity that you all enjoy and can look forward to occurring regularly, you’ll be bringing the family closer together. Everybody in your family has a voice and opinion – so listen to them. This is particularly important when it comes to the children. If you are deciding an activity to do or a destination to go on holiday, give your kids a say. If they feel like their opinion means something to you and they have input on the decision-making process, then chances are they’ll be happier with whatever activity you decide to do. Everyone in your family has their talents and interests and taking the time to support those as a group will bring you closer together. Whether it is your son’s baseball game, your daughter’s dance recital or your husband’s band playing somewhere, you can turn their hobbies and interests into a family activity by going along and watching. A family that feels the support of each other in everything they do is a much stronger one as a result. Moving interstate can be stressful, but if you want it to go smoothly there are a few things you can do to ensure the process is easy from start to finish. These handy tips will help you stay on track with your move so you can relax and enjoy the journey. If you have a lot of stuff to move and you don’t want any of your belongings getting damaged then it is best to hire professional removalists to do the packing for you. They will be prepared with the necessary equipment to ensure that your goods are packed safely and securely. While it may cost more to hire professional removalists than simply do it yourself, you will be able to rest assured that your move will be in safe hands. They are experienced at moving household goods and furniture and will be able to ensure that your belongings are protected. Before your move it is a good idea to organise all your belongings. This means sorting through all your clothes, small items, linen, toys, and kitchenware to work out what you will be bringing with you and what items you plan to throw out. It is also a good idea to make sure all your kitchen and bathroom items are clean and ready to be packed up on moving day. You don’t want to leave dirty dishes and toothbrushes for the removalists to clean up. This will save the removalists lots of time and effort. It can take time to move furniture and other goods interstate, especially if there is a long distance to travel to reach your new home. Removalists will generally use either LCL (less than container load) or FCL (full container load) to transport your goods. Generally FCL shipping is faster. For a FCL, an interstate move will take around 4 to 10 days. This will make your moving process much easier and will ensure your belongings arrive at your destination as soon as possible. While you may not be able to have a FCL, this is a good tip to keep in mind for your next move. It is important to ensure you update your address with all the relevant authorities before you move. All you need to do is notify organisations like the ATO, the electoral commission, your utility suppliers, and your bank of your new address. You’ll also need to make sure you get all your mail redirected to your new home. This is very easy to do with Australia Post and you can choose how long you want your mail to be redirected for. It may cost money but it will make your moving process a lot easier. For those moving with beloved furry friends, you’ll need to think about how you plan on moving them. While it may be easy to pack them up in the car or plane with you, this isn’t necessarily the best option for either of you. Moving your pets with a pet transportation company will not only ensure your sanity on the trip, but will also ensure that your pets are looked after every step of the way. Pet removalists are experienced at transporting pets interstate and can make sure your pets are kept safe and secure. When you are in school, if you don’t have a good time in your physical education lessons, it can put you off sports for life. This is a huge shame considering how sports can enrich your life and add excitement to every day. No matter what your age is, there will be a sport or exercise-based activity that will be out there and perfect for you to try out; you just need to get the confidence to go and try it! To get you off to a running start, this useful guide has been put together to help even the most exercise sceptic people on their feet and learning to love sports. One of the biggest motivators that get people into sports is understanding just what a positive impact it can have on your life. In fact, there are many benefits to enjoying sports as a hobby. There is a long list to choose from, so this guide has selected three of the best to focus on. Mental and physical health can often be seen as entirely separate entities that are not linked, but this couldn’t be further from the truth. In reality, sports are recommended for helping mental illness. The exercise you do will encourage your brain to release more endorphins, helping you to maintain a happy mood while also burning off extra adrenalin that can cause panic attacks with disorders such as anxiety. Alongside better moods, sports will provide you with an unbeatable feeling of accomplishment in your everyday life, especially as you begin to improve and can take part in competitions. For example, if you enjoy running, you could decide to train for a marathon and raise some money for charity, getting Race Framers to frame your medal to hang in your home. Doing so will mean you are getting the benefits of exercise, helping to fight for a good cause, and can have a reminder of your achievements to look back on. It is a universal fact that sports can make you a more confident person. Be it through feeling happier for longer or joining a sports team; you will be better able to socialise and make friends who will improve your quality of life. Now that you have a better understanding of what sports can add to your life, you need to investigate some you should try out this year to start seeing a real positive change. The main rule here is to find a sport that lets you meet up with other people, such as a running group or a spin class at the gym, as this social aspect will help motivate you to keep going and get good at your chosen activity. It will also help you to make friends and establish a routine by attending a class at the same time every week. Friday is finally here (TGIF!) and you’re ready to pack your stuff and leave work as soon as possible. You may be tired and can’t wait to go to bed early, but if you want to kickstart the weekend, start doing fun things now and leave the sleeping in for Sunday. A night out with friends is fun, but you can also enjoy at home playing board games, cooking, catching up, or watching a movie marathon. If you’d rather be alone, a bubble bath and a book are your two best friends. Check out this list of 5 fun things to do on a Friday night to start the weekend on the right foot. If you’re a foodie, make cooking something from scratch one of your monthly Friday night activities. Invite people over and give everyone an assignment or make everything yourself and have a get-together over wine. If your cooking skills need brushing up, order takeout, enjoy each other’s company, and use this time to catch up. You had a busy week and are too tired to go out. What better way to spend a Friday evening than binge-watch your favorite show or movie? Start your movie marathon night by getting in your comfiest pajamas, getting some drinks and snacks, inviting your friends (or you can watch alone) and let the weekend begin. Bars and clubs aren’t the only Friday night things to do, but if you haven’t seen your friends all week, get together for a game night. Playing board games, booking an escape room, or seeing a stand-up show are great ways to have fun. You can also stay at home and play charades, drop a hint, guess the celebrity, or heads up. Feel like pampering? Grab your face masks, light up some candles, fill up the tub and throw in a bath bomb. Play soothing music and either read a book or watch a tv show. Weekends are also time for self-care and having a spa night at home is the best way to shake off the stress. Live concerts and shows are the best places to go on a Friday night if you want to blow off some steam after a stressful week. Take your friends, family or partner with you and dance the night away. If you don’t want to spend too much and still have fun, you’ll find many free events in your area. Whether you have big weekend plans or choose to lay low and catch up on some sleep, these 5 things to do on a Friday night are great for beating boredom. You can cook for your friends, have a spa night at home or binge-watch your beloved shows. Whatever you do, spend your time doing the things you love. Want to sleep in this weekend? Check out this article for the best tips on having a good night sleep and waking up rested. Are you feeling like your life has been a bit out of control as of late? Does it feel as though things aren’t quite going the way you had envisioned and that your future plans and goals keep slipping further and further away? Even with the best intentions, it’s perfectly normal to veer off course here and there in life. What matters is that you recognize when you’re in this position, and you have the strength and knowledge to do something about it. Often, when people start feeling unhappy in life, or as though things are “out of control”, a change is needed, and for many, that change is career-related. If you’re ready to grab the bull by the horns, feel empowered, and get your future back on track, then it may be that pursuing your RN to BSN degree could be the route to take. Your Master of Science in Nursing will open all kinds of career potential, and is known to be a very highly rewarding path to take. Here’s a look at what’s involved in the RN to BSN degree, and what kind of job prospects it can provide you with. While there is absolutely nothing wrong with going for your RN and stopping there, the downfall is that you won’t have as much freedom and flexibility when it comes to career options. By going the extra mile and doing the RN to BSN program, you’ll be eligible to work in 88% of the jobs that are going through a period of growth, according to the Bureau of Labor Statistics. Not only will you be able to work as a charge nurse, but you can also take the position of a registered nurse supervisor. This can mean a higher salary for you. What’s also great is that the RN to BSN online program through Spring Arbor University allows you to do all of your coursework online so you can continue working in the meantime. The idea is that by offering an online program, it will fit into the busy lives of RN nurses. Why Nursing, and Why the Healthcare Industry? If you haven’t worked in the healthcare industry before, you may be asking yourself what makes nursing and the healthcare industry so special and empowering? The fact is that it’s hard to find a field that has as much of an impact on people as that of the healthcare industry. You will be helping patients with everything from small health issues, to serious health concerns. You will be providing them with care, support, and information so that they can lead as healthy a life as possible. For those who wonder how they can make a difference in the world and give back, the healthcare industry is the perfect solution. What Sort of Personal Skills are Required for the Nursing Field? While your schooling will provide you with all the education and knowledge you need to succeed in the field, there are some skills that a person naturally possesses which will help them to get more from the job. These skills can help you to be more efficient and effective as a nurse or a nurse supervisor. These skills include a strong eye for detail, as you don’t want anything to go by unnoticed. Remember, you will be dealing with life and death situations sometimes, so having an eye for detail is imperative. Nurses also need to have excellent multi-tasking abilities. It’s rare that you will be caring for just one patient at a time. Instead, it’s more likely you’ll be rushing between patient to patient, which means you need to stay on your game and not get flustered. Speaking of getting flustered, you also need to be able to work in a high-stress and high-paced environment. Again, it goes back to being cool, calm, and collected even in a stressful situation. Then there are communication skills, which you will also need an abundance of. Not only will you be dealing with patients and their families, but also with other nurses, doctors, and administrative staff. Choosing to get your RN to BSN degree may just end up being the change you need to make in order to make you feel empowered and in control of your future. It’s all about pushing yourself and being aware of what your dreams and goals are in life. If the rest of the family have finally convinced you to get a dog, you’re probably feeling a little excited. Before you speak with a local breeder, you should really consider the option of a rescue dog. There are so many advantages to adopting a rescue dog and providing them with a forever home, and this is probably why an increasing number of people are choosing this route. Of course, it’s very tempting to get a cute-looking puppy from a breeder, but perhaps you can be persuaded to give a rescue dog a chance with the following advantages. Re-homing an abandoned dog is a very rewarding thing to do. You’re giving them a second chance at a better life, helping eradicate puppy farms and irresponsible breeding. When you go to a breeder, your choice is going to be very limited. There might only be a few puppies available, and they’re all likely to be the same breed. At a rescue centre, you’ll be able to pick from a wide range of different breeds and ages. Dogs in these centres come in all shapes and sizes, meaning you’re bound to be able to find one that suits you best. You’ll able to talk to the staff and find out all you need to know about a dog’s character, what they like and what they don’t like. Possibly the most crucial reason for rescuing a dog rather than buying from a breeder is that you’ll be changing a dog’s life for the better. Sadly, many dogs are left in rescue centres for many months, and may not ever find a forever home. By choosing one of these dogs, you will transform their life, giving them a happy, loved home. Before a dog becomes available for rehoming, it will always be checked, neutered, and micro-chipped. The health check will also include vaccinations and treatments for worms and fleas, meaning a dog that comes from a rescue centre will be happy and healthy. Many rescue charities that help to re-home animals will also provide you with support, training and advice. Adopting a rescue dog is not always easy, and expert guidance may be needed during the transition period. Dog re-homing charities work hard to match dogs with their new owners, but they will always be there when you need some help. You might need help finding a doggy daycare centre or dog walker Primrose Hill, for example. A rescue dog that you re-home will repay your kindness many times over. You’ll have rebuilt their confidence, and in return, you receive loyalty, fun and lifelong friendship. If you bring a rescue dog into your home, you’re showing your kids the importance of respecting and caring for animals. These are essential life lessons for children. The above should be more than enough reasons to give rescue dogs a go. Pay a visit to your local animal shelter this weekend and think about adopting.